Hey friends! 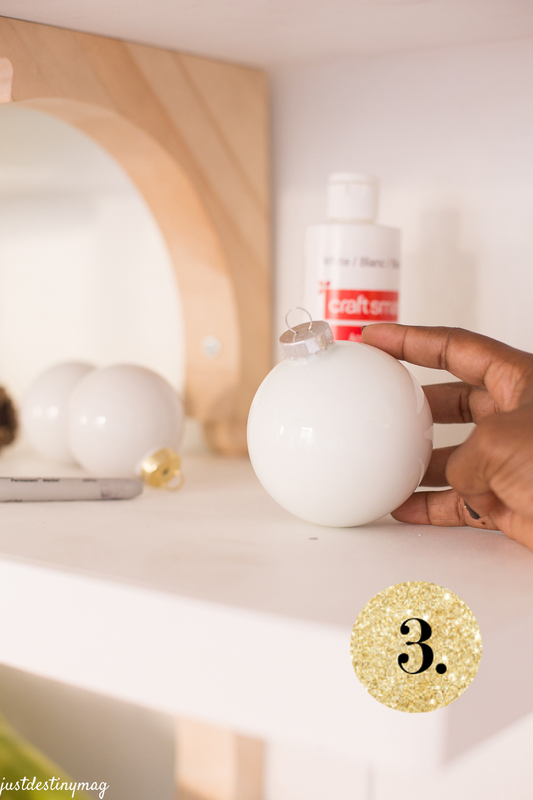 Are you ready for another fun DIY ornament! I know I said my last ornament was my favorite. BUT I must say this one is too. It’s KINDA like children, you can’t have a favorite! 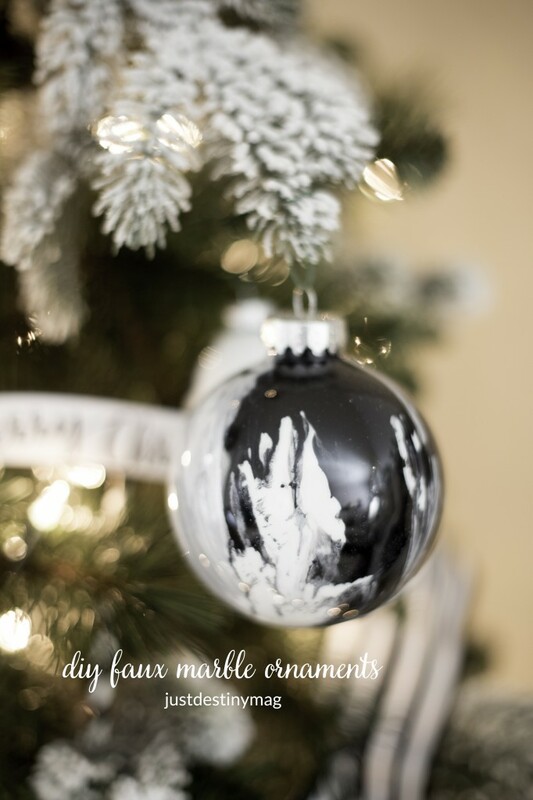 The inspiration for this ornament comes from this wonderful fabric that I haven’t even put in my own home yet but it’s become a classic in the black and white fabric family! 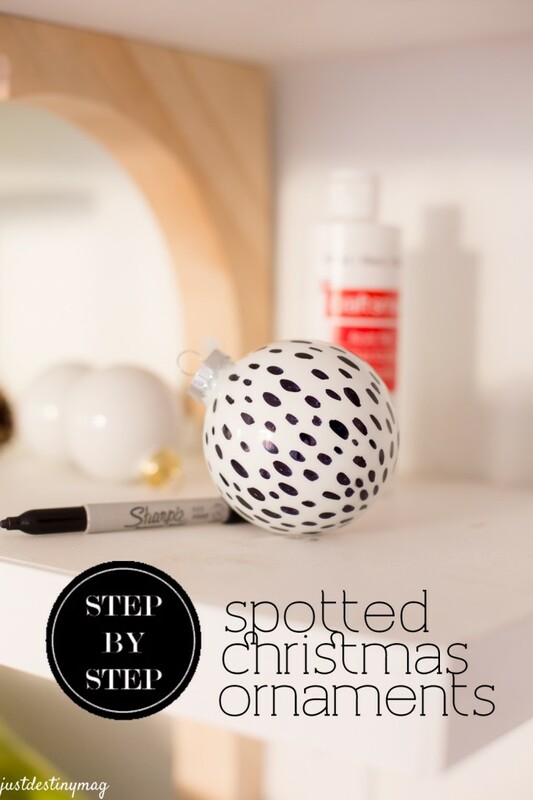 I got all supplies for these black and white spotted ornaments from Michaels and so can you! 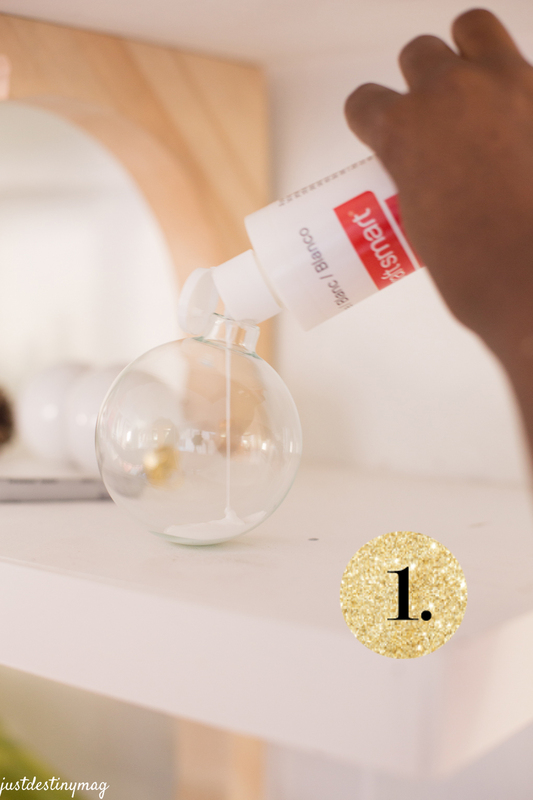 First take the top of the glass ornament and pour a generous amount of white acrylic paint into it. Then take a napkin and cover the top of the ornament. 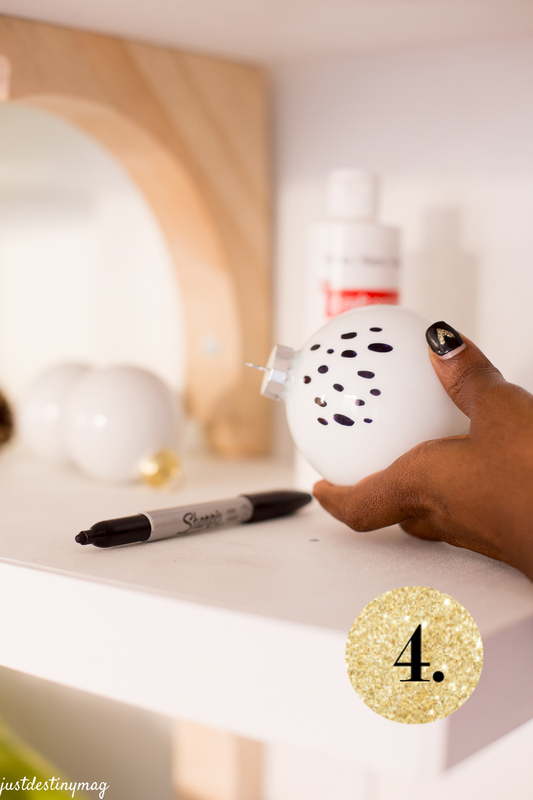 Give it a good shake so that the ornament eventually is completely white inside! After that put the top back on the ornament and allow it to dry for about 30 minutes. If you have anything dripping out you probably used a little to much paint. 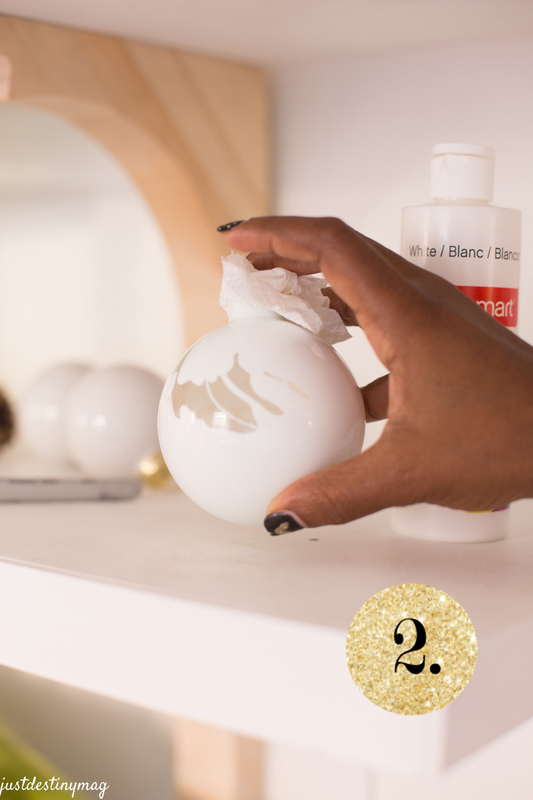 The ornament should dry without any drips so just let it settle on any even surface. 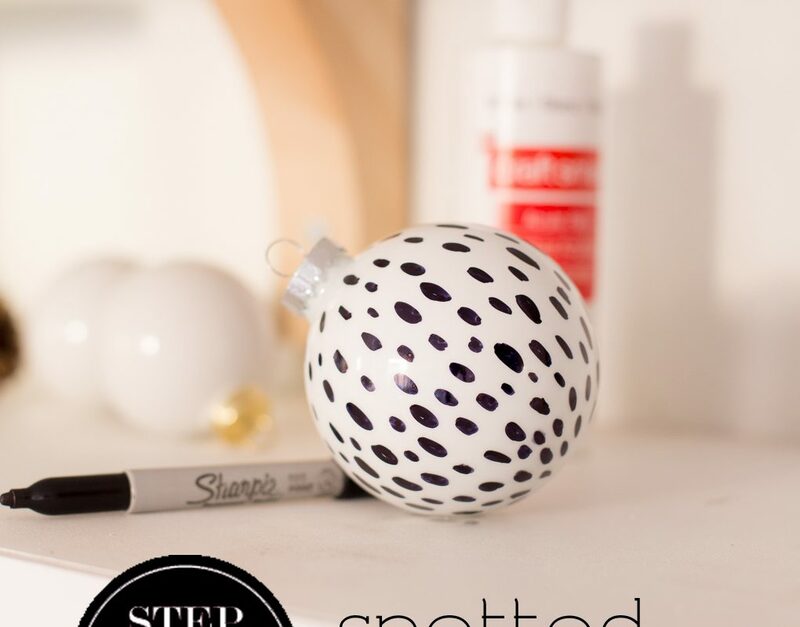 After that use a black sharpie and draw on several random spots in the shape of an oval all around the ornaments. Make sure you watch your hand for smudges! 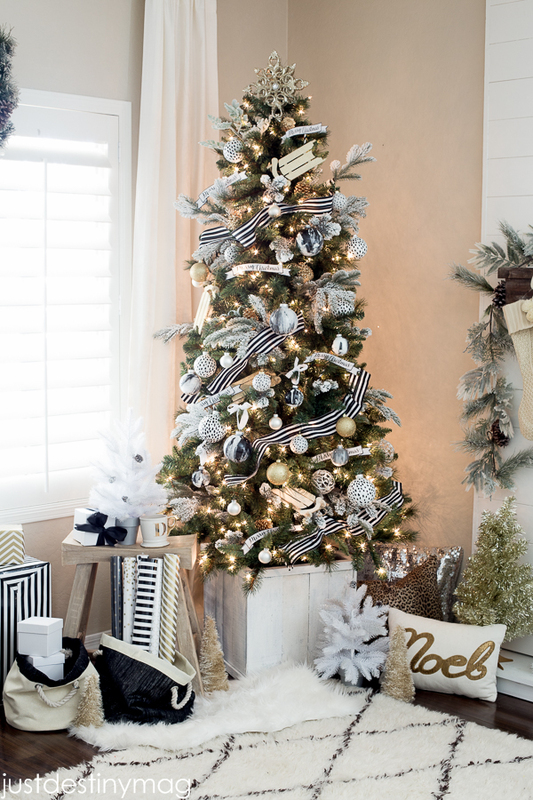 If you haven’t seen our Dream Trees yet, stop by The Glue String to see all 30 – they will blow you away! 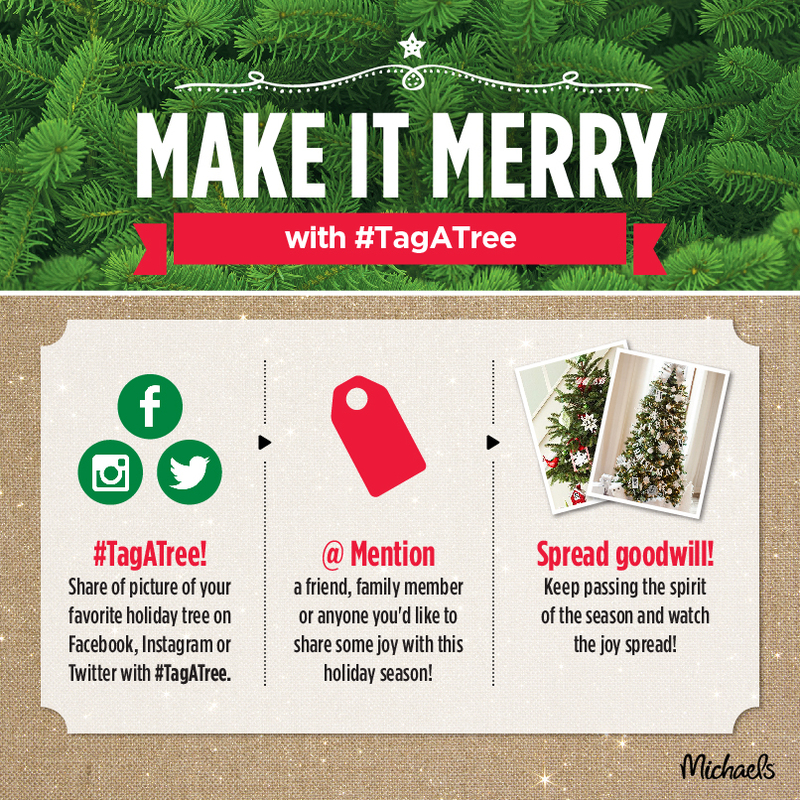 Michaels has a variety of Make it Merry projects for you and your family to work on this season! Love the spotted ornaments. How fabulous are these. 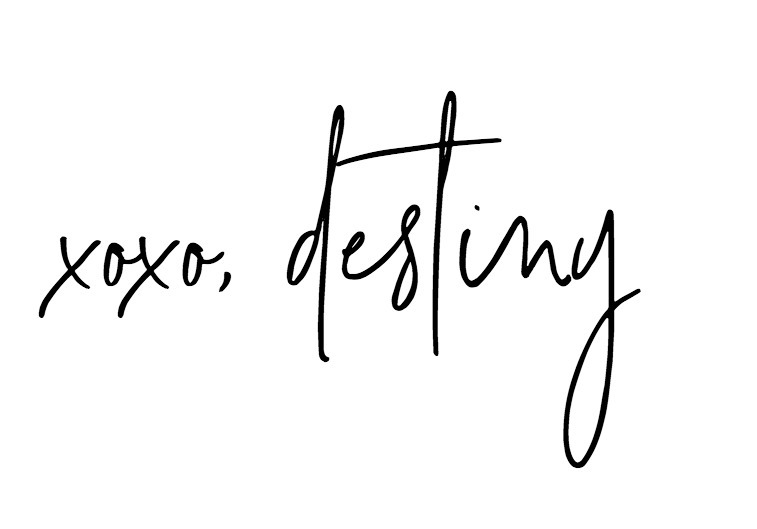 Destiny, I love it! So smart!! 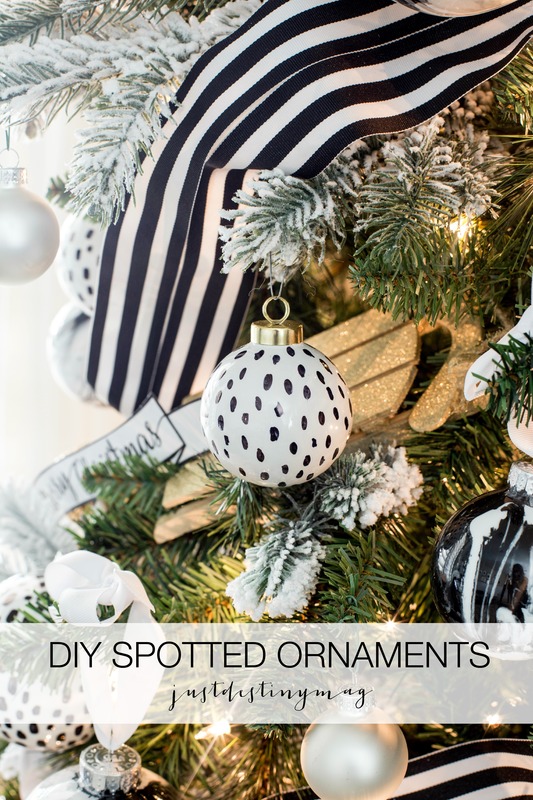 Love your creativity with the ornaments. I am planning to do some for my own home. Thanks for the motivation and allowing us to copy your idea!